San Francisco, CA, July 15, 2013 [via OFFICIAL PRESS RELEASE] The 2013 J-POP Summit Festival is only a few weeks away and marks its 5thanniversary as San Francisco’s preeminent annual celebration of Japanese pop culture, art, music, fashion, and filmon Saturday and Sunday, July 27th and 28th. Taking place across the city’s entire historic Japantown district, and centered around NEW PEOPLE and the adjacent Peace Plaza, the J-POP Summit will deliver a true feast for the senses with numerous attractions and events including live bands, edgy fashion shows, anime and live-action film premieres, Guest of Honor appearances, live art performances, merchants and vendor booths, and a special “POP GOURMET” Food Festival and Sake Tasting. Many of the events and concerts are FREE to attend! Additional details on J-POP Festival events and programming are available at: www.J-POP.com. The 2013 J-POP Summit is honored to welcome the following luminaries as official Guests of Honor this year. Kyary Pamyu Pamyu: Recognized universally as Japan’s Official Ambassador of Kawaii, this fashion icon and singer personifies the J-Pop Harajuku style. Her top selling single “PON PON PON” has garnered more than 50 million views and she comes to San Francisco for the first time for a special J-POP Summit headline concert. Presented by ASOBISYSTEM. Katsuya Terada: One of Japan’s greatest illustrators celebrates the debut of his new art book, KATSUYA TERADA 10 TEN – 10 Year Retrospective with a series of live J-POP Summit appearances and a special live illustration session at Kinokuniya Bookstore. Co-presented by Kinokuniya Bookstores of America. The 2013 J-POP Summit also launches the first-ever Japan Film Festival of San Francisco (JFFSF), which continues throughout the following week (thru August 4th) at NEW PEOPLE Cinema. Explore more than 15 films showcasing some of the best in recent Japanese live-action and animated cinema. Information, screening times and advance tickets to these and other JFFSF films can be found at:www.JFFSF.org. Kyary Pamyu Pamyu: Japan’s biggest J-Pop star comes to San Francisco for a special live concert in Union Square on Sunday, July 28th. Catch the latest wave of Japanese pop mania with the official Ambassador of Kawaii. She will also make a special appearance at NEW PEOPLE in Japantown and also at the “Harajuku Kawaii!! in SF” fashion event in Peace Plaza on Saturday, July 27th. Kylee: Sony Music Japan recording artist Kylee returns to J-POP Summit following a red-hot debut last year. Catch the upbeat 19 year-old pop singer in a live show at Japantown’s Peace Plaza on Saturday, July 27th and again on Sunday, July 28th, appearing with Kyary Pamyu Pamyu at Union Square. Daichi: This 22-year-old Japanese human beat-box can make more than 50 different sounds using his voice, and can play rhythm beat and sing melody at the same time. Catch him on Saturday, July 27th at Japantown’s Peace Plaza and on Sunday, July 28th, appearing with Kyary Pamyu Pamyu and Kylee at Union Square. LoVendoR: Led by Singer Reina Tanaka, a former star of “Morning Musume,” the brand new 4-piece girls rock band ‘LoVendoR ‘ will make its U.S. debut on the J-POP Summit Main stage on Saturday, July 27th and again on Sunday, July 28th at Union Square. Akabane Vulgars on Strong Bypass: The all-girl punk rock trio from Toyko hits the J-POP Summit Main stage on Saturday, July 28th with their hard-hitting brand of alt-driven bluesy-rock influenced by Joan Jett, Black Rebel Motorcycle Club, and Japanese groups such as Blankey Jet City and Thee Michelle Gun Elephant. “Harajuku Kawaii!! in SF” is presented in partnership with ASOBISYSTEM and will be held on Saturday, July 27th in Peace Plaza. The event combines an edgy fashion show by an array of iconic Harajuku fashion models highlighting the latest in Kawaii style. 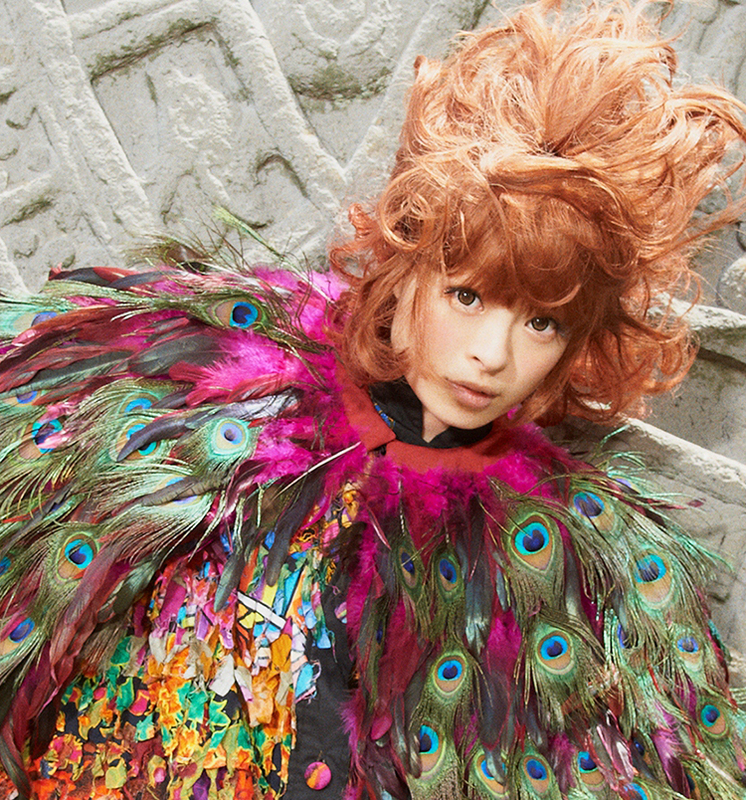 Guest of Honor Kyary Pamyu Pamyu will also make a special appearance at the event. “Harajuku Kawaii!! in SF” will also offer a pop-up store inside NEW PEOPLE selling exclusive lines of fashion merchandise imported strait from Harajuku! Participating brands include: SPINS, GLADNEWS as well as Innocent World, Helcatpunks and many more! Guest of honor Kyary Pamyu Pamyu will make a special appearance at its opening event at NEW PEOPLE on Saturday, July 27th. “1000 Treasure Hunters”: The 2013 J-POP Summit teams with SCRAP, producers of popular puzzle-hunt game event series, “Real Escape Game,” to stage what could become Bay Area’s biggest simultaneous treasure hunt. Join other players in a new version of the hit mystery game from Japan to use your intuition and detective skills to solve multiple clues hidden across the entire Japantown area within a limited time. Katsuya Terada: As a special treat for fans and J-POP Summit attendees, Katsuya Terada will do a live freehand drawing on a blank wall in the 1st floor of the Kinokuniya Bookstore, located inside the Kinokuniya Shopping Mall (also on Post Street) in Japantown. Witness a true master at work as Terada will leave his unique artistic mark on the Kinokuniya décor. The artist will meet attendees during an autograph session at the Kinokuniya Booth. J-POP IDOL 2013: J-POP Summit Festival 2013 is very excited to announce a first-ever J-POP IDOL CONTEST! Join other contestants in a fun competition on Saturday, July 27th in which one competes by singing a song in Japanese!!! This contest is all about how well one sings and interprets the song. Prizes to be awarded! Vocaloid Dance Contest: J-POP Summit announces its 3rd annual Vocaloid Dance Contest. Catch the hottest moves, or delivers some, in this block rocking contest on the J-POP Main Stage in Peace Plaza that is based on the internet phenomenon of dancers (and amateurs) dancing to a Vocaloid composition. Solo competition will be held Saturday, July 27th; Group Competition will be held Sunday, July 28th. Sample a scrumptious new component to this year’s events and attractions is the “POP GOURMET Food Festival.” The POP GOURMET area offers a special Sake Tasting Event showcasing multiple sake tasting booths, hosted by leading Japanese brewers and distributors, where attendees can enjoy genuine Japanese sake and gain insight into the roots of Japan’s national spirit in an informative lecture delivered on both days by the Consulate General of Japan in San Francisco. Augmenting the Sake Tasting Event will be more than a dozen of the Bay Area’s most popular mobile food eateries offering a wide assortment of innovative Japanese and Asian-influenced cuisine along with other sweets and delectable treats. The J-POP SUMMIT FESTIVAL is an annual Japanese Pop Culture celebration that features live bands and artists from Japan, pop culture panel discussions, film premieres, fashion and DJ dance events, and celebrity appearances. The Festival is hosted by NEW PEOPLE in cooperation with the Japantown Merchants Association. In 2012, the two-day event attracted 65,000 attendees. More information about J-POP Summit Festival is available at: J-POP.com.